Robots are becoming more and more sophisticated in that some can now "interpret" human emotions. Because of that, they could even come to replace humans on the workplace. 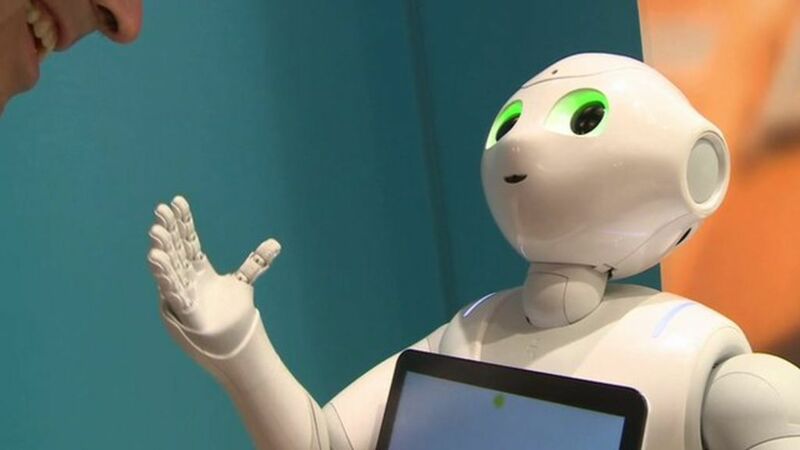 These machines have the potential of changing the way we live! to cheer someone up: to cause (someone) to feel happier or more cheerful remonter le moral de qn. 1. Explain how sophisticated robots are becoming: what can they do? 2. 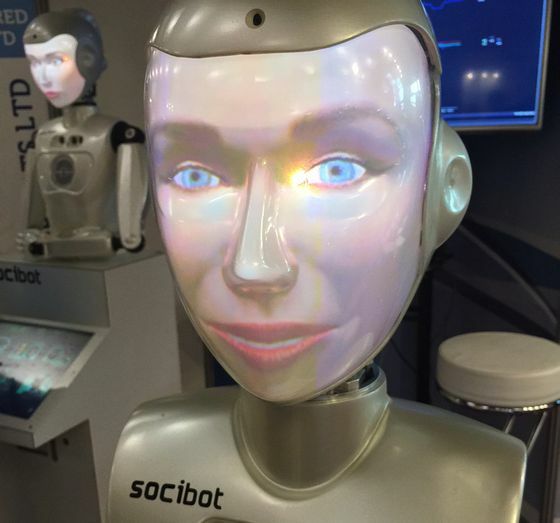 How are robots like Pepper and Socibot different from each other? 3. Are they becoming a threat to humans now? Explain! Exemples: dans la sphère privée, interpréter les sentiments humains; engager la conversation; posséder des expressions faciales mais aussi en public (dans un magasin par exemple pour inciter le client à acheter certains produits...) et sur le lieu de travail (exemple, le chariot élévateur capable de déplacer des charges sans conducteur...).